This patented FLEXFIT trucker mesh hat brings super comfort and a great look. 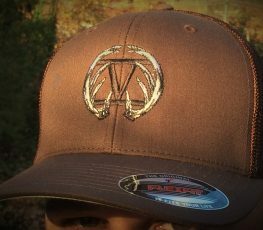 It features the BIG BUCK FIVE O Emblem and is the perfect hat for the deer hunter. This classic Flexfit 210 Flatbill Hat comes in gray or black with blue bill. 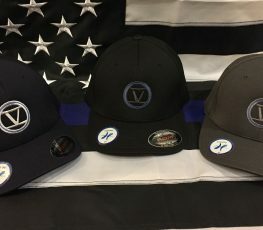 Each hat features the Five O Emblem embroidered in Blue w/ black line. 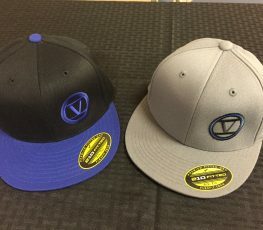 This new Flexfit Melange Mesh hat just took the hat industry to another level. 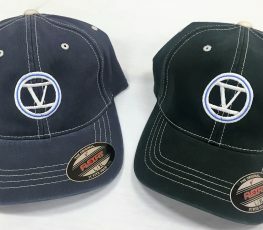 Look and feel great with the FIVE O Flag embroidered on this awesome hat for everyone to see. 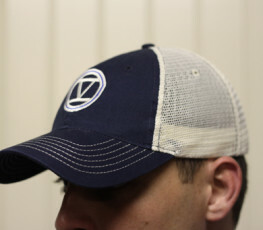 This Flexfit Wooly Combed Hat features the Five O Emblem in standard embroidery with Blue Line. Available in different colors and sizes. 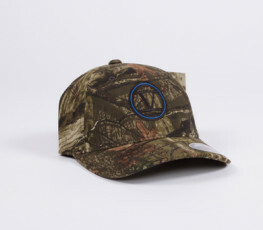 This Mossy Oak Infinity Flexfit Hat features the Five O Emblem in standard embroidery with Blue or Green Line. This FLEXFIT Contrast Stitch hat is an absolute favorite. The hat is comprised of garment washed fabric with matching undervisor and a soft buckram. It has a contrast button, eyelets and stitching. Comes in Black/Stone and Navy/Stone. 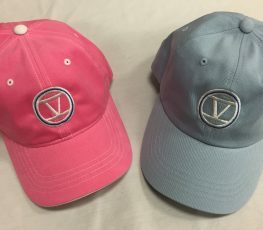 The FIVE O Ladies Low Profile Hat is the perfect choice for when you want to look good and keep your hair under control. 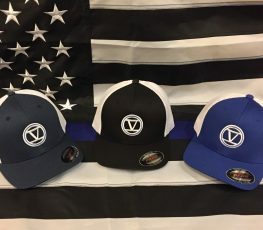 Whether it’s an afternoon at the shooting range, a weekend bike trip, the softball championships or your daily jog, this comfortable hat stays in place and comes with the FIVE O emblem embroidered on the front. 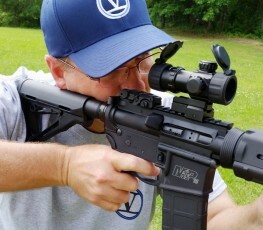 The Flexfit Hat has a low-profile, 3 1/8″ crown, with 6 panels and a roomy back opening to fit a full pony tail. 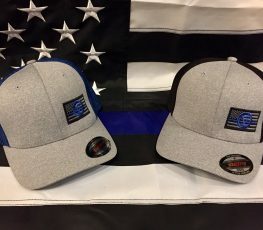 This hat hugs your head securely while the Flexfit 100% Cotton material keeps you cool & comfortable. The FLEXFIT Trucker Mesh 2-Tone hat is the perfect fit for comfort and style. The patented Flexfit Trucker Mesh comes with a hard buckram, silver undervisor and 8 rows of stitching on visor.